Approaching the FINAL LEG of the #DPOLL - We ask you to please consider supporting our @steemitbloggers community...steemCreated with Sketch. Greetings #steem peeps! As most of you already know or are following - We have managed to keep our place in the top two of the @theycallmedan 20k delegation poll. Many of you are MORE than familiar with the community which I have spent building alongside my right hand man @zord189 and all our BRILLIANT members for just over the last year. The @steemitbloggers. Yes, we have recently re branded to the #powerhousecreatives but we are still the same DEDICATED community that MANY on the #STEEM blockchain have come to love and appreciate! I could post old testimonials as examples, so that you would know "what and who" you are supporting, but I am not going to do that. I am going to open the floor to the comments section and let people speak for themselves - members and non. Then I think you can make up your own minds as to whether you would like to give us a vote or not. And if you have already voted, perhaps you will consider supporting us with a resteem of this post anyway. I don't care that the price of Steem is low, or that participation on Steemit is even lower - you'd never guess it from being a part of the @steemitbloggers/#powerhousecreatives community! While other bloggers (here and on other platforms) complain about "lack of engagement" I know, if nothing else, the SB/PHC peeps will laugh at my (bad puns), compliment my photographs, point out my typos, call me crazy a queen (okay, technically "the Giphy Queen" but I'll take it...LOL!) and in general support the hell outta me. Well, I've actually been on Steemit somewhat longer than @steemitbloggers has been in existence, and I distinctly remember that this was the first time I found a group that was truly a community of content creators, and not just another "upvote club." The thing that's important to me about @steemitbloggers is its extraordinarily broad reach; many of the members are not only active content creators and curators, but also very active community members in other community action programs here; in fact, quite a few are members of groups that are part of this poll! It also speaks highly of Power House Creatives that their efforts to win this delegation is supported not only by lots of individuals, but also by the memberships of quite a few other groups. As a word to those reading this who are "not part of groups," a vote for @steemitbloggers is really a vote for community and content on many Steem front ends, going forward. I am so proud to be a member of this awesome community. With all these bots around, this community gives real votes and comments to support their members. Please support @steemitbloggers. yes indeed! VERY well said! @steemitbloggers aka @powerhousecreatives stands for what is best about the Steem blockchain. We are a small, but growing, community of people who care about the integrity of our community. We strive to have valuable content in our own work, and to look for it and support it in others. We are asking for support with a vote in this dpoll, and you can rest assured that the generous delegation from @theycallmedan, would be in good hands and used for the good of everyone. I love the genuine engagement I feel from members of the Power House Creatives and I love the structure that’s been established to ensure the long term success of this community and all members. I love the availability of @jaynie and @zord189, the variety of channels, contests and writing relays. I feel like I’ve only just begun to tap into all that this group can offer to creatives. But like a few other people who share allegiances to more than one community, I was faced with a very difficult situation. Who to give my vote to. I’m setting up a store with the @homesteaderscoop and particularly over the past few weeks have had so much personal support and encouragement from members of this community. I fully align with the vision they have and so it was only 'natural' for me to support them now, in this poll. And if you have already voted, perhaps you will consider supporting us with a resteem of this post anyway. 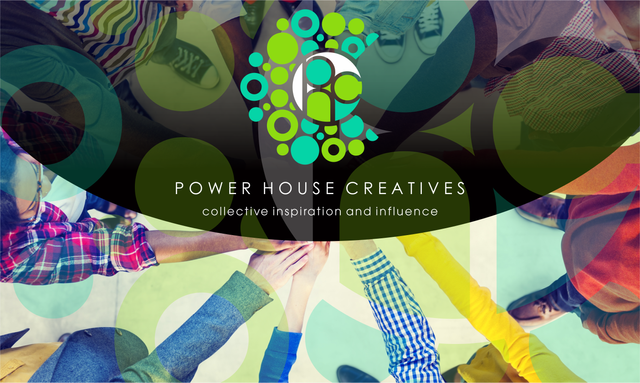 I am so happy and proud to be a member of the #powerhousecreatives. One of the best decisions I made was to apply to join. They expect a certain level of commitment, but this means that you feel genuinely supported and encouraged by the whole @steemitbloggers community. It is a great way to get to know some fantastic people and I would encourage all of you to vote for @steemitbloggers in the dpoll, and apply to join! What can I say, you can choose to support a community that works to make the platform what it says it can be. Working together with other communities and individuals. Do you sometimes feel that nobody reads or comments around here? Cause I can see that the #powerhousecreatives , organized by @steemitbloggers do. And I don't know about the results of the dpoll but I would certainly be happy to know I have made a few connections here and there, between people who can help each other. Poll aside... we have SUCH a FANTASTIC group of individuals!!!!! All so willing to go above and beyond no matter what! LOVE IT! Its very inspiring! SB is home to me. Totally feel like home when I come online, not just on Steemit, but also on IG, and on Twitter, and definitely on the server on discord, familiar faces and names always make you feel like home. We are just EVERYWHERE aren't we heheheh!!! I love that about us and the "direction" in which we are headed! LOVE, LOVE - LOOOOOOVE you guys SO much!!!!! Loving having you with us!!! Let's get ready to HUSTLE - tick tock tick tock.... eeeeeek!!!! Thanks friend I support you i upvote. @steemibloggers is a community that puts in the commitment and passion to help each other and the entire STEEM ecosystem grow. We support each other with engagement and encouragement, and we promote STEEM to non-STEEM social media channels. We are here for the long haul, putting in the hard work to make this place better and more rewarding for all Steemians. New to the @steemitbloggers community I've been very happy with what I have found - very engaged and helpful folks with some wonderful blogs! I've really enjoyed beginning to meet the members and be inspired to up my game! And the dedication of the leaders to make the #powerhousecreatives the best it can be is AMAZING! Please vote #powerhousecreatives if you are still on the fence!! We truly, truly appreciate it. If you are reading this and you do really care about future of this platform, theere isn't a better group to vote for in this poll than @steemitbloggers. Not united under any national or religional reasons/backgrounds but united under one and only thing which should matter here the most - quality content. I could NOT agree more!!!!! And We DO play host to some of the platforms BEST content creators! Thank you for such a great comment @matkodurko xoxoxox!!!!! I just got in and I already feel like home at @steemitbloggers AKA Power House Creatives. If you want a great place of great content creators who are willing to help each other while improving everyone's blogging then you are so invited to join in. Plase give us your support! And we are LOVING your ENERGY @jonsnow1983!!! Really glad you hopped on board! This post really touched my heart and reading the comments made me even somewhat melancholy feeling. I'm proud to say I'm a member of this marvellous @steemitbloggers family. I'm quite new to this community but yet they reached my arms and welcome me like a family and friends. This poll has showed me that @steemitbloggers is truly a wonderful family. Here, you won't just hang out but also to stay. It has been one wild ride being in this community and meeting so many like-minded bloggers determined to build Steemit. The nice thing is we come together because we want to. It is fun and we look forward to meeting new members from other communities.